Medal for 90th Anniversary of the VLKSM. 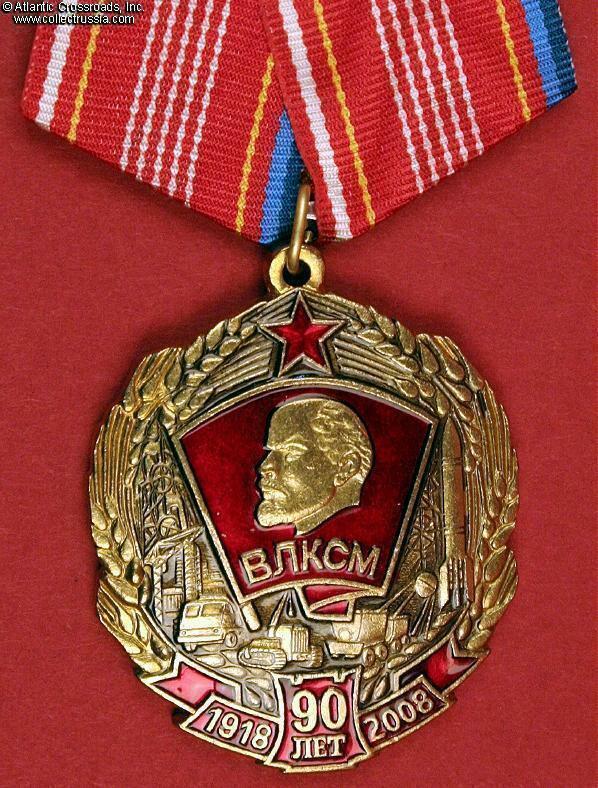 Medal for 90th Anniversary of the VLKSM. Brass, enamel. Artwork on the obverse features the Komsomol membership badge centered against an array of traditional representations of Soviet prosperity and progress (factories, vehicles, sputnik, rocket, etc., and plenty of grain). 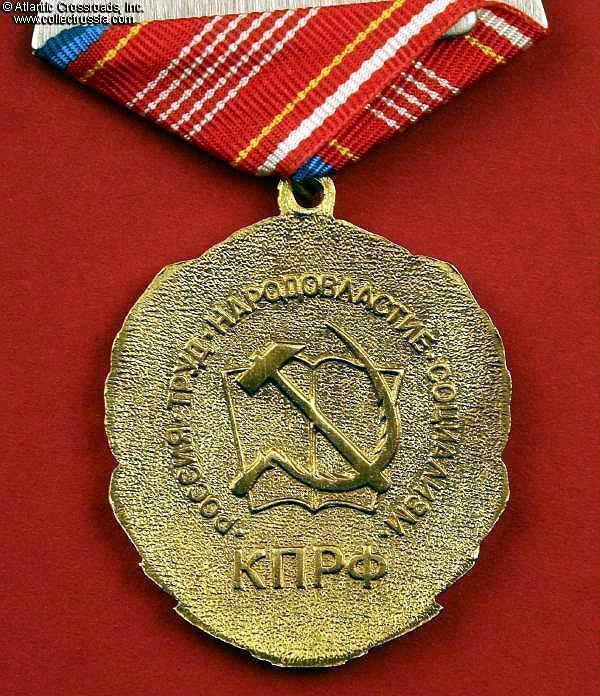 Reverse inscription and hammer & sickle identifies medal as a product of the Russian Communist party. 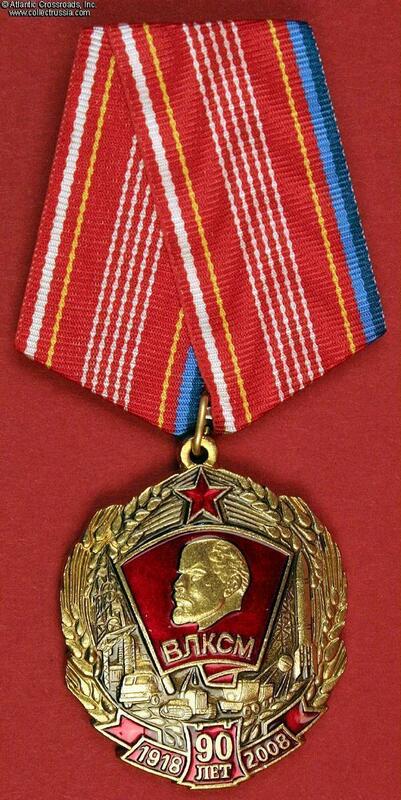 Alternative medal - not recognized as an official award by the current Russian government.